The seven-year battle with e-commerce shopping giant Amazon over the internet domain may soon come to an end. The retail giant and the governments of eight South American countries have been given a final deadline to reach an agreement over the use of '.amazon' web address extension. This is not the first time a company got into legal trouble for the domain, there have been several such instances in the past. 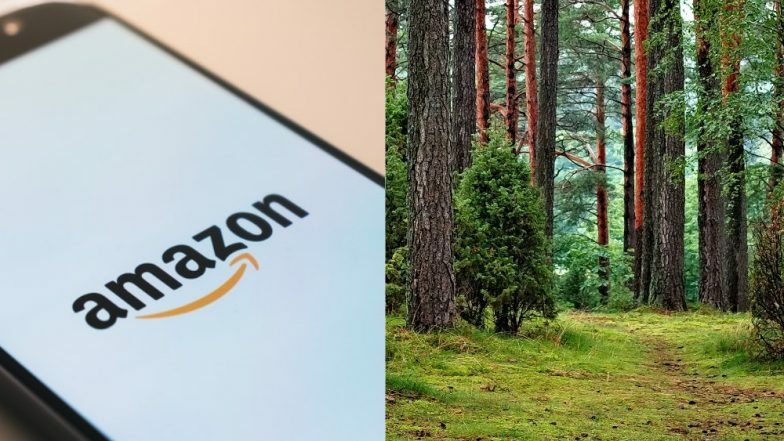 While Amazon may first bring to our minds thoughts of online shopping, initially it is the world's largest rainforest and the largest river in the world. The war which began in 2012, when Internet Corporation for Assigned Names and Numbers (ICANN), the body that polices the world wide web's address system, decided to increase the list of generic top-level domains (gTLD). This comes after the dot was introduced in a web address. With the new rule, companies were allowed to apply for brand new extensions through which they could personalise their website name and addresses. Verisign Sees a Growth of 6 Million Domain Name Registrations Globally in Q2. However, then eight countries containing the Amazon rainforest objected to the plan. Following which the governments of Bolivia, Brazil, Colombia, Ecuador, Guyana, Peru, Suriname and Venezuela who are members of the Amazon Cooperation Treaty Organization (ACTO) voiced that renouncing the domain just to Amazon could affect their matters of sovereignty. According to a BBC report, the countries are looking at a "shared governance" of the domain. As per the proposals, Amazon would be immediately allowed the use of domains of commercial value like 'books.amazon' or 'kindle.amazon'. And each country would be allowed to use domains related to their cultural heritage. Brazil also suggested that the countries should be let to co-govern the digital address along with the biggest online retailer. Amazon Forests Failing to Keep Up With Climate Change: Study. The countries want to form a committee in which both Amazon and the eight countries would be able to object top-level domains in the future. However, Amazon rejected the idea by suggesting that .amazon could be used with two letters of the names of each country like br.amazon for Brazil. Amazon Working on Internet-serving Satellite Network. In a bid to pursue the countries, last year the company promised them $5m (£3.8m) worth of free Kindle e-readers and hosting services, however, they refused. Reacting to which, the Ecuadorian Ambassador to the US, Francisco Carrión in a letter to ICANN in March, said, "We are not looking for financial compensation. Nor are we after ex-gratia concessions to use one or a few second-level domains. It is a matter of sovereignty for many of us, and the offer to share the TLDs with the company Amazon Inc. is already a compromise."